Today will be set aside for international arrivals to Cali. Depending on the time of arrival, we may be able to do some touring around Cali today. In the hills above Cali is a smaller-scale, scalable map of Colombia with hanging gardens, ponds, and statues of animals. It’s directly adjacent to a butterfly house with 15 species of native butterflies, along with jewelry made from dead butterflies. The whole thing is part of the Fundación Andoke, or the Andoke Foundation — a group of folks who designed an eco-centric educational program for kids and adults alike in order to promote and conserve Colombia’s biodiversity with regards to its natural environment, hydrography, and other natural highlights. If you’ve wanted to travel across Colombia in less than an hour, this is the place to do it. After the visit to Andoke, we visit the main museums of the city with a professional guide. 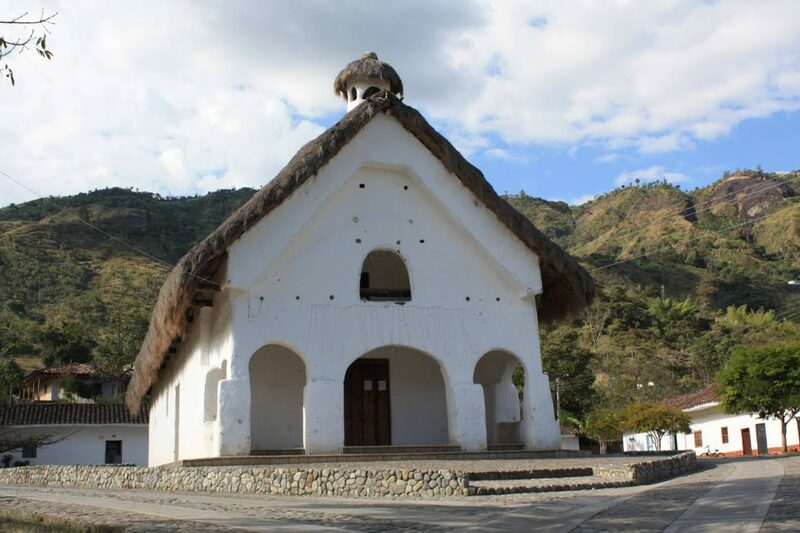 The tour includes the Monument “the cat” Master Hernando Tejada, Museum of Contemporary Art “La Tertulia” Architectural Complex “La Merced” First City Building in the Archaeological Museum of the Calima culture, Museum of Religious, Art Museum Gold and the departmental library. Overnight at Movich Casa del Alférez. Set deep in the mountains, Tierradentro is an enchanting area where mist shrouded hills conceal the evidence of long since disappeared and mysteries ancient pre Hispanic cultures. 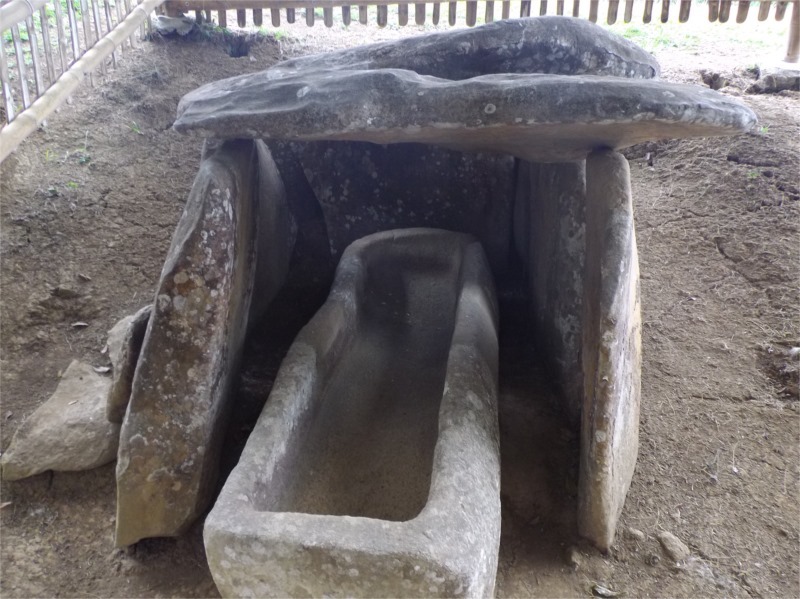 The evidence of these cultures manifests itself in underground tombs, and as with other sites in the region, little is really known about these pre Hispanic cultures. In the area, which is a UNESCO World Heritage Site, so far over 100 of these tombs have been discovered and yet more are believed to exist. Tierradentro is a great place to explore the culture and history of the region. Scattered over several hills the town of San Andrés de Psimbalá is the principal town of the Tierradentro archaeological sites. Five principal sites exist, 4 with the underground tombs and 1 with status above ground. The tour will take in these principal sight, this will be done on foot as the sites are close in proximity to each other. In the bigger of the sites, Segovia, 28 tombs can be viewed, some still with their original decorative art work preserve them. The guide will explain some of the theories and legends surrounding this site and the people who are buried here and lived in this mysterious Colombian landscape. Overnight at Albergue El Refugio. 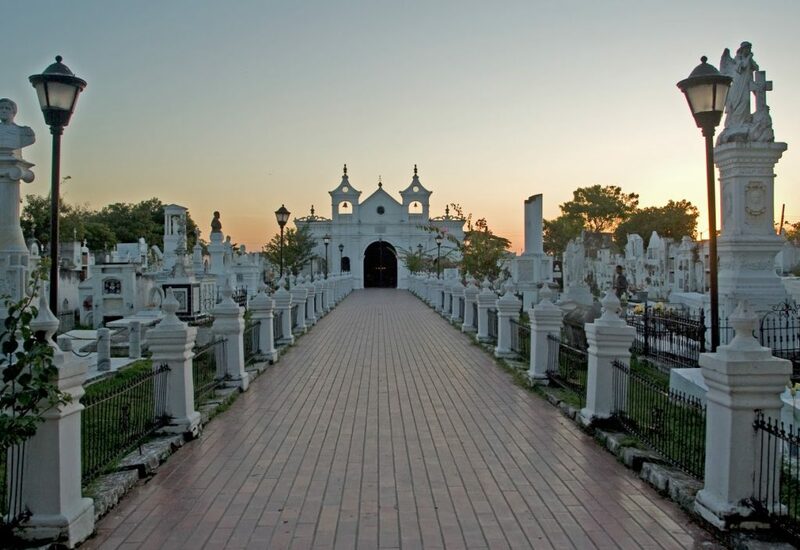 La Ciudad Blanca or White City is well known throughout Colombia and as tourism expands through the south of Colombia its charms are being discovered by those from outside Colombia too. Without doubt one of the country’s most charming and well preserved colonial cities. The town surrounded by undulating countryside and sitting at 1737 Masl was once a transfer and stopping point for the treasure being transported by the Spanish crown from Quito to the Caribbean coast. The town was founded in 1537 by Conquistador Sebastian Belacazar. The old part of the town is a crisscross of quaint streets and white washed colonial buildings, plaza and churches. 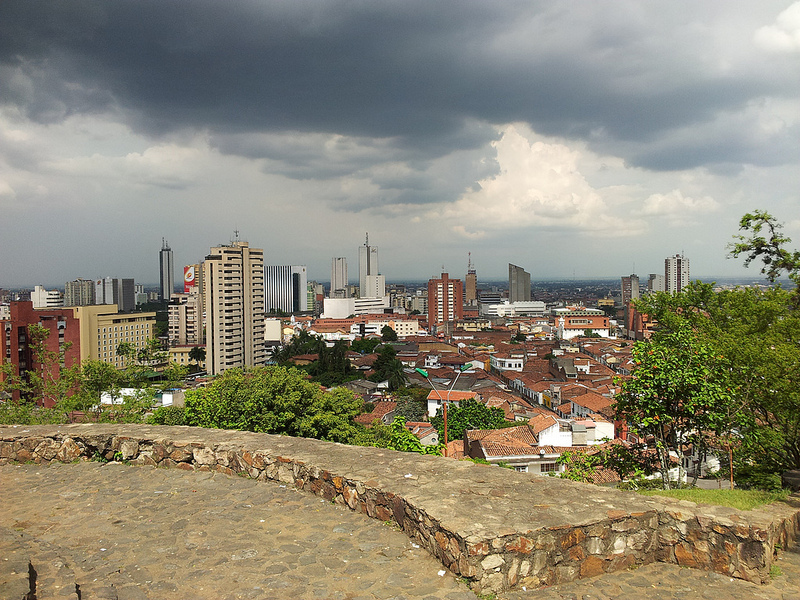 It’s a great place to explore and ponder Colombia’s colonial past. 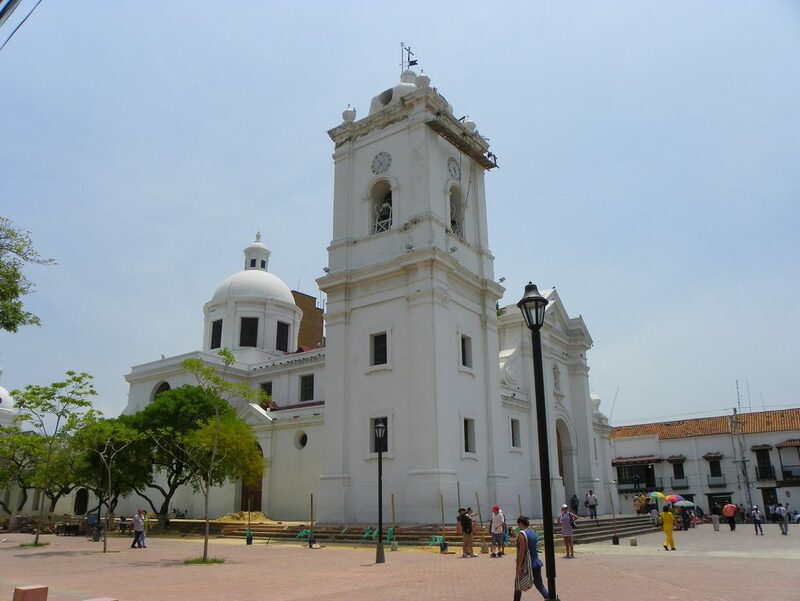 Our tour of the city of Popayan is focused around a number of the famous churches in the city, which includes the Church of San Franciso, the city’s oldest and most beautiful church famous for its high alter. Other churches include that of Santa Domingo, San José and San Agustin and La Ermita, famous for frescos that still remain on the walls. There are a number of museums in the city also worth a visit including the Museum of Religious Art, and the Natural History Museum. In addition to the churches and museums, We will also take a walk up to the Morro (hill) de Tulcan. This short hike provides great views over the city. Overnight at Dann Monasterio. Famed for its mysterious Pre Colombian stone figures carved out of and into the rock, this is one of Colombia’s more unusual and spiritual locations. San Agustin also is a great location to enjoy some of Colombia’s finest rural landscapes, with green hills, sub tropical flowers and freshwater streams. The statues themselves for which the region is so famous date from 3300BC, and are carved in the likeness of men, animals and the god’s of the Pre Colombian peoples. We will spend a half-day here in San Agustin which will allow us to get a great overview of the region and its importance as a site of Pre Colombian influence and civilization. 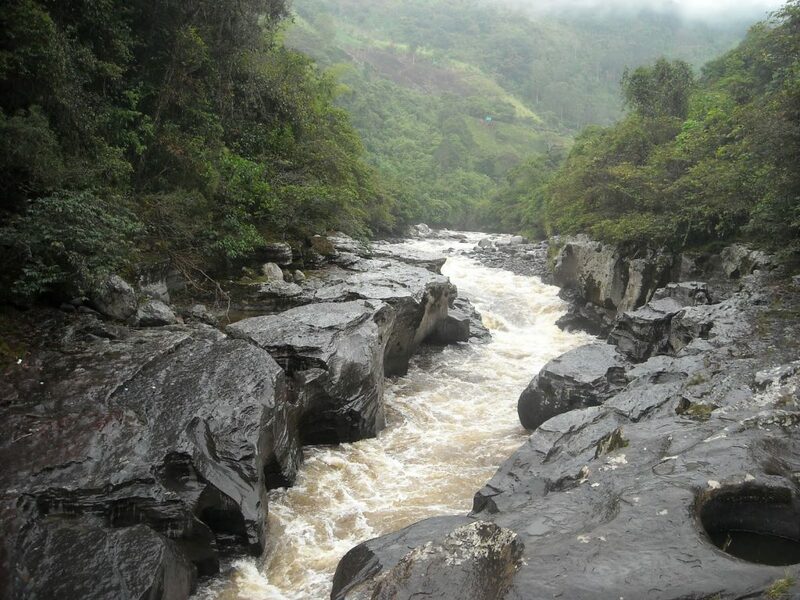 The day also gives us a chance to experience the rugged beauty of region and its mountains and valleys. The first part of the day will be spent visiting the Parque Arqueológico the principal park in San Agustin containing the most important and largest display of the stone statues. Almost nothing is know about the exact history of the site, or its primary uses, thought its believed that the stone carving are meant to be in memory of the dead, probably the elders or chiefs or the region. Why the culture that made these sculptures disappeared again is unknown, even more amazing is that all the statues have remain in such perfect condition despite the thousands of years and troubled history of this area. We will also visit the Ceremonial Spring of Lavapatas. The source Lavapatas ceremonial sculpture is the biggest of Augustinian cultures and a monument of magical and religious character. The source consists of a complex maze of canals and pools carved into the stone bed of the creek which combine high relief depictions of snakes, lizards, salamanders, iguanas, chameleons, frogs and turtles mixed with faces and human forms. For St. Augustine culture has symbolized power a sacred site dedicated to religious ceremonies and ritual baths. You can meet native and endemic species of flora and fauna. To finish the day visit the Archaeological Museum which includes significant samples of the work of the sculptor ancestral village. Overnight at Yuma. 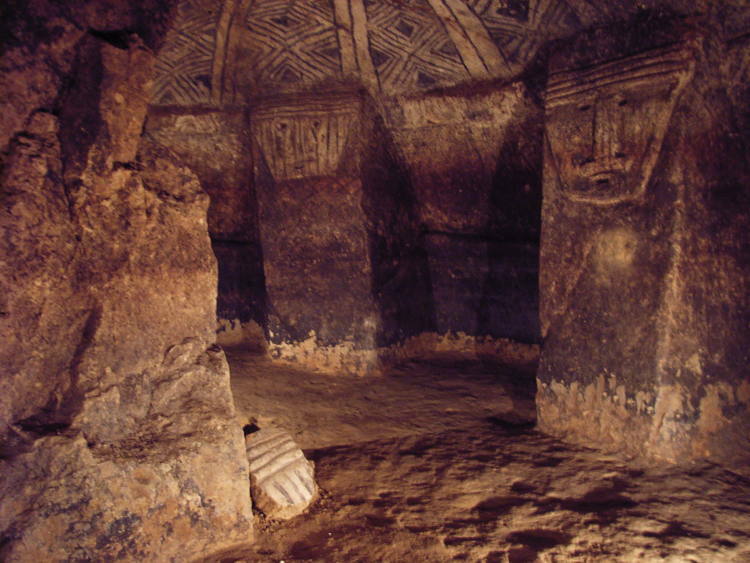 The small village of Obando, two miles from San Agustín, proudly holds a great treasure: ancient underground tombs which were carefully restored and can now be visited. Concrete stairs descend to them and provide access to the enigmatic and gloomy inside. After resurfacing from the tombs, we will visit the Archaeological Museum, housed in a small traditional hut with a thatched roof. The museum features a variety of medium and small-sized stone statues as well as several pieces of ancient pottery found in the region. It also has a small shop selling handicrafts, sweets and traditional foods. The Magdalena River Strait is a particularly fierce and beautiful section of the Magdalena River where the river is forced through a narrow gap. The Strait boasts a landscape of great natural beauty located a few kilometers away from the urban area of the Municipality of San Agustin. The waters in this part of the river are of a beautiful light green color and clear enough to observe the sandy river bed only a few feet below the surface. Also we will visit Alto de los Ídolos & Alto de las Piedras, two important archaeological sites of the region featuring nearly 40 statues together. Overnight at Yuma. Founded in 1525 by Don Rodrigo de Bastidas over a beautiful bay, Santa Marta is the oldest town in Colombia. The city boasts a privileged location geographically, neighboring the Sierra Nevada and Tayrona National Park and the popular fishing village of Taganga. The beaches are clean and wide, with many safe swimming areas. Santa Marta may lack the wealth of colonial assets of it its westerly neighbor, Cartagena, but its charm and character make up for this, and development in its colonial center is on-going and are bringing back the ancient character of this important coastal city. Having been neglected for many years, the city is now undergoing a restoration program and you will get to see the results of this as you stroll through the atmospheric plazas and narrow streets of this beautiful and unique city. Colombia is synonymous with gold and departing with our guide your first visit will be the small Gold Museum, which is located in a colonial mansion and houses some interesting gold and pottery objects from the indigenous cultures that inhabit the Sierra Nevada Mountains which rise up behind the city. From here we will continue on foot through the Bolivar Plaza and the bustling streets to the cathedral, Colombia’s oldest church. Later we will take a short stroll to the beautiful Parque de los Novios (lovers’ park) where you can sip a refreshing cold drink in the shade. Overnight at Casa del Piano. 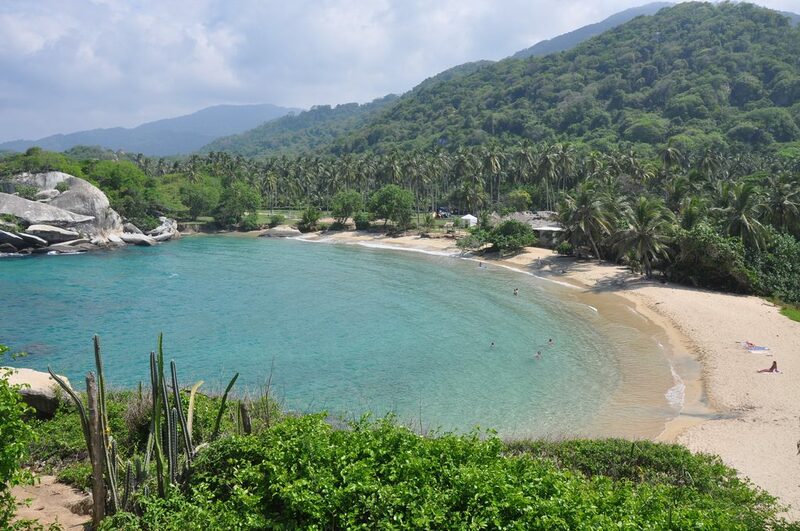 Driving northeast from the city of Santa Marta you will pass along the foothills of the famous Sierra Nevada de Santa Marta, the highest coastal mountain range in the world. After passing through the main park entrance and checkpoint, we will continue for an additional 10 to 20 minutes along a rough gravel track to the end of the road trail. From here we will hit the coastal paths, for those who prefer a more sedate pace horses can be arranged to carry you or your bags. Depending on your exact requirements the walk can be 30 minutes or so to one of the main beaches, where we can sit under hanging palms and watch the waves roll up the shore or a walk of a couple of hours or so to one of the main swimming beaches also located here are a number of great locally run restaurants for a nice lunch. During the walk we will look out for some of the Kogi tribes’ people who still live in the park, plus an array of flora and fauna along the way. Our guide will be on hand to explain not only the culture and history of the park but also about the wildlife that you may see on the way. We will have a full day to enjoy this beautiful region. Overnight at Casa del Piano. We leave Santa Marta behind today and begin our four hour coastal drive to Cartagena, first stopping at a mud volcano. 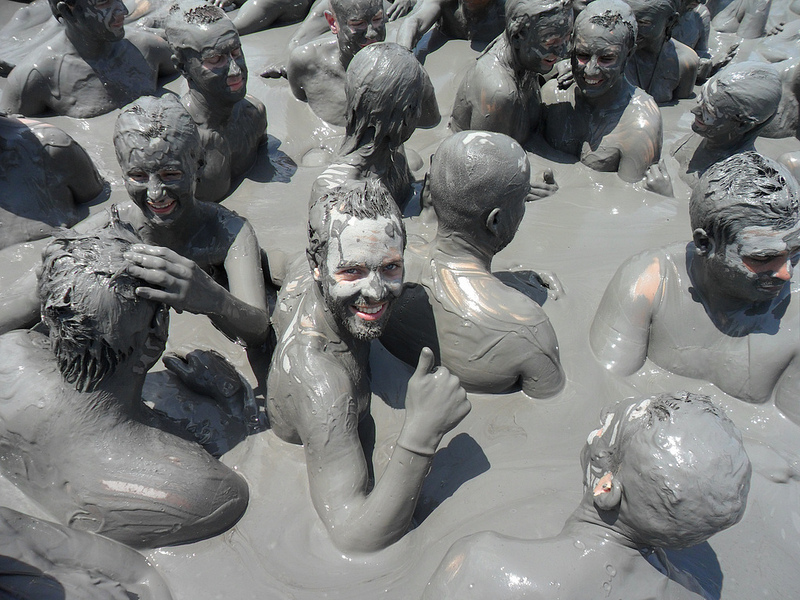 Legend has it that the volcano was once the home of the devil and spewed hot lava; a local holy man doused the volcano in holy water vanquishing the devil and turning the hot lava in to rich mud. It’s not cold, it’s warm! It does not seem to have a bottom, and it’s impossible to sink. This is truly one of the strangest experiences you will have along the Caribbean coastline. The volcano is 20 meters high with basic wooden steps up to its crater at the top. From this point there will be someone on hand to take you to the water’s edge of the Ceínega (spring) where you will be washed down in this natural lagoon. After this interesting time we will continue on to Cartagena. 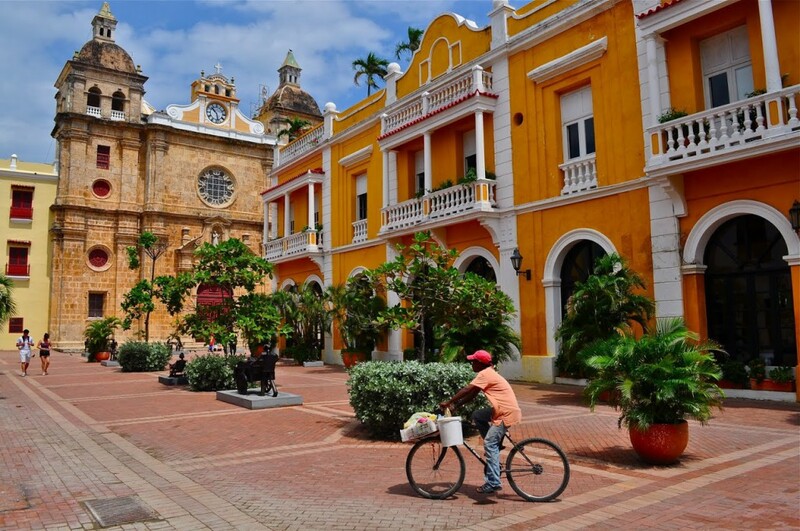 Founded in 1533 by Pedro de Heredia, Cartagena was formerly the Caribbean gateway port used by the Spanish. Here they would store the riches plundered form the interior before they were transported back to Europe. It is not surprising therefore that the city was a draw for buccaneers and pirates who attempted on many occasions to take the city, most notably by Sir Francis Drake in 1586 who “mercifully” agreed not to level the city in return for 10 million pesos that he carted back to England. It was after the attack by Drake that plans were made to fortify the city and work on the defensive walls began. These walls still stand today and mark the boundary between the old and new parts of the city. The walls and fort took a total of 200 years to build and complete and the Spanish finished them just 25 years before Colombia gained independence. 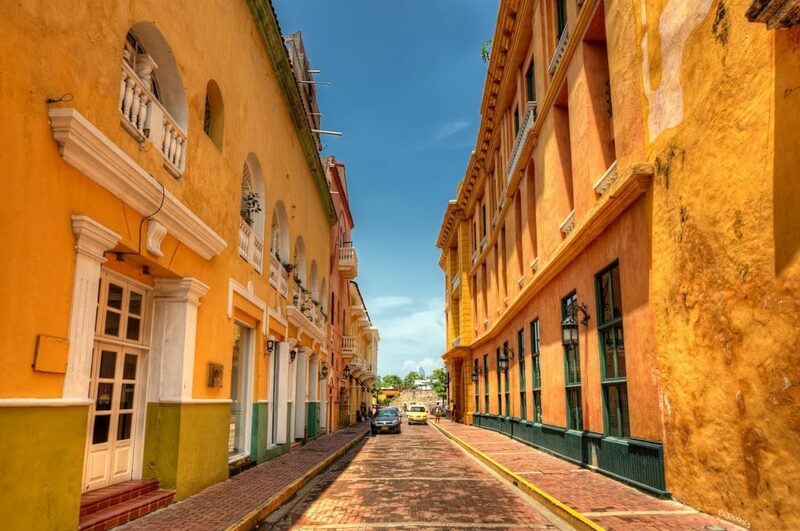 Cartagena’s rich history, diverse culture and energy absorbs every visitor allowing them a glimpse into the past and a chance to relax in superb surroundings. 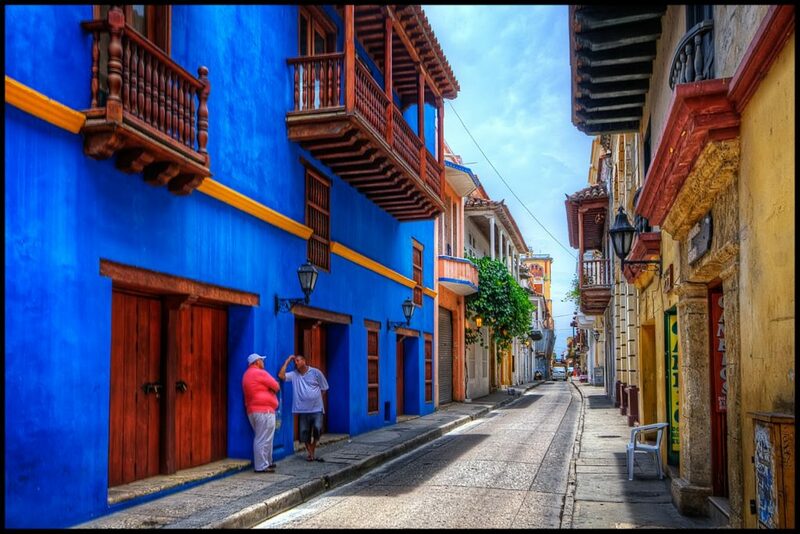 This passionate and vibrant city with some of the best preserved colonial architecture in all of South America exudes character, mix in African rhythms and indigenous influences with the Spanish colonial splendor and Cartagena is truly an amazing destination. Overnight at Bantu. Our tour will take through the old town under the Puerta Del Reloj (Clock tower entrance), a symbol of Cartagena, into the Plaza de los Coches. 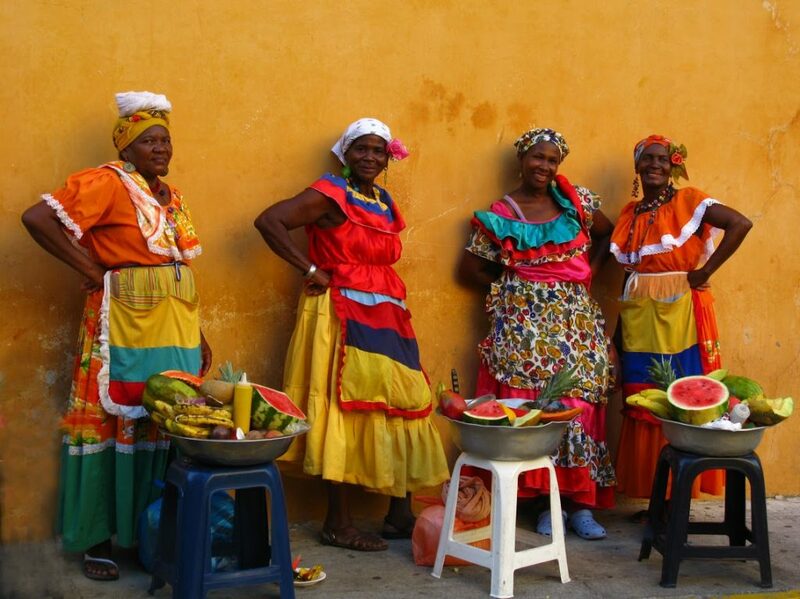 Our guide will divulge the myths and legends, histories and stories of Cartagena from ancient times right up to the present. Later we will set off to the Castillo San Felipe. This fort is the largest Spanish fortification in the Americas and dominates the old town. The first fortification on the site was started in 1536 and further extended over the following 200 years mostly by African slave labor. Underneath this amazing structure you will find a labyrinth of tunnels. The fortification contains various tunnels (some of which are lit and accessible to visitors) and ramparts that we will explore. From the fort we will continue by vehicle to the Convento La Popa. The hill is the highest point in the city and commands excellent views of the bay, old town and Caribbean Sea beyond. Started initially as a humble wooden chapel but later replaced by a more solid construction that was fortified two centuries later. Enjoy the flower filled patio and the views that stretch all over the city and wander through the cool patio and interior of the convent. Overnight at Bantu. This full day tour gives us the opportunity to discover one of the most beautiful archipelagos in the Caribbean. Our boat departs directly from the pier and will take us on a 60 minute ride through the Bay of Cartagena to the beautiful crystal clear waters of the Rosario Island archipelago. This group of 27 islands is surrounded by coral reefs, and is the perfect location to go snorkeling and swimming from the pristine white sandy beaches. It´s one of the 46 national parks of Colombia, created to protect one of the most important coral reefs of the Colombian coast. 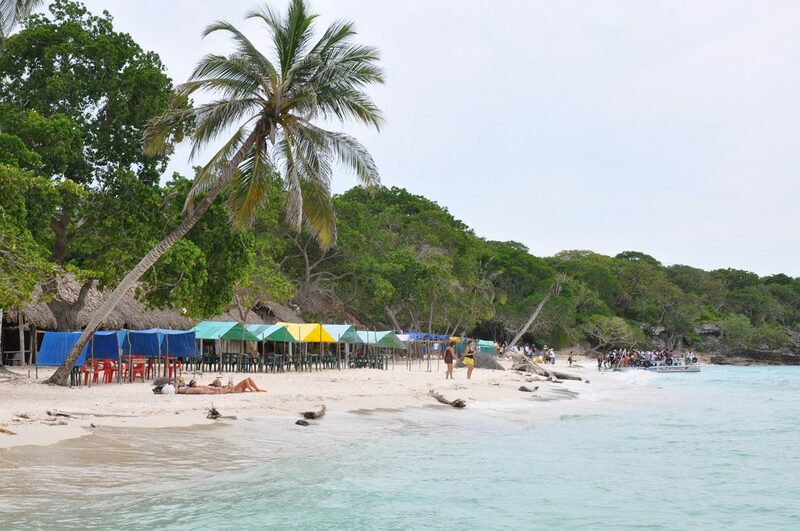 This marine habitat creates one of the most diverse and richest marine ecosystems in Colombia. On arrival at the island we will have time to relax, sunbath and enjoy a swim and refreshment. Later we will enjoy a delicious lunch which consists of locally caught fresh fried fish, which is accompanied by coconut rice, plantains and salad. After lunch we will have time for a final stroll or to relax and enjoy a swim in the Caribbean before returning to Cartagena on our speed boat. Overnight at Bantu. 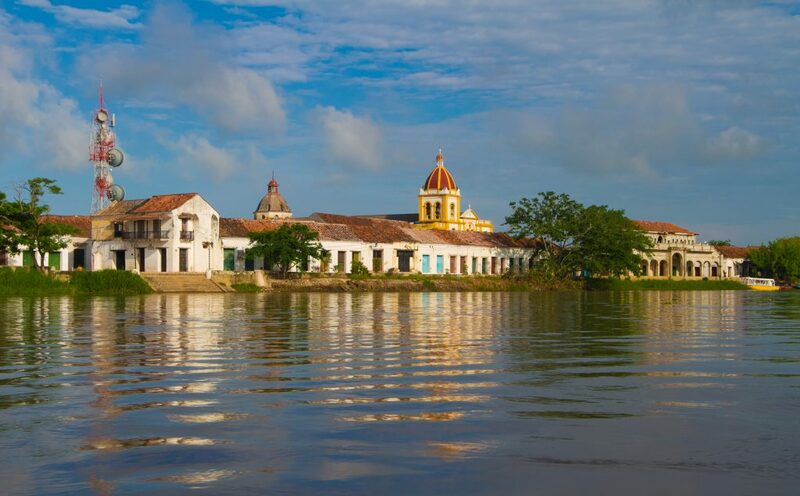 After breakfast we will make a long and scenic, 7-hour drive to Mompós, officially known as Santa Cruz de Mompox, which is located in the department of Bolivar on the banks of the mighty Magdalena River, has an absorbing old-time atmosphere. Founded in 1537 the town became an important trading port between the coast and Colombian interior. The town has an alluring and rather isolated location that has lent to the traditional feel of both the architecture and culture of the town, with its colonial character still very much visible and intact. The town’s old folk sit on their verandas in the heat of the afternoon sun gently swinging on rocking chairs. For a snapshot of a bygone age of Colombia’s past, Mompos is the perfect location. Overnight at La Casa Amarilla. After breakfast we will head out with our guide and learn about the history of the town and its connections with the great liberator Simon Bolivar and its Masonic history. Later in the afternoon, after the heat subsides, there will be time to take a walk around the town with our guide to visit some of the sites around town. These will include the Iglesia (Church) Santa Barbara unique in its design, San Agustin church which houses some of the religious artifacts used in the famous Easter Festival and the cemetery, which is home to a number of elaborate tombs. This fascinating tour will give you a real insight in to the history of the town and a look at one of Colombia’s more off the beaten track locations. The afternoon will be spent on a small boat exploring the Magdalena River. We will pass through small riverside communities, and see how rural life is so dependent on the river. There will be a chance to stop on one of the islands in the river and take a swim to freshen up from the afternoon heat. There is a great variety of wildlife that can be spotted from the river including a plethora of birdlife, iguanas, and howler monkeys. Later we will return back to Mompos at sunset. Overnight at La Casa Amarilla. This morning we begin our long drive back up to Cartagena. Once back in Cartagena we should have plenty of time to do some final sightseeing and enjoy a farewell dinner. Overnight at Banu. Today we will bid farewell to Colombia and be transferred to the airport for our onward connections.